This post contains many scanned images. Click on any detail to see a larger version. I believe that one of the best ways to reduce spending is to limit your exposure to advertising. Marketers employ powerful persuasive techniques to circumvent our rational minds, encouraging us to spend our hard-earned money on things we don't really need. This isn't anything new. 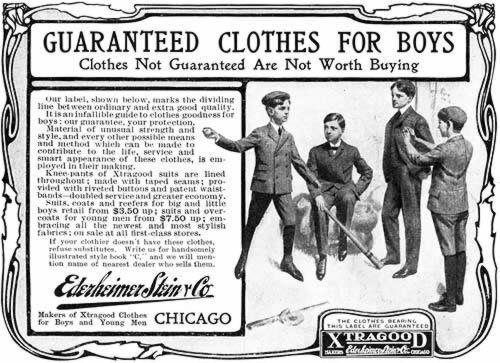 Advertising has been a pervasive part of American culture for more than a century. I recently picked up some 100-year-old magazines for cheap at a garage sale. 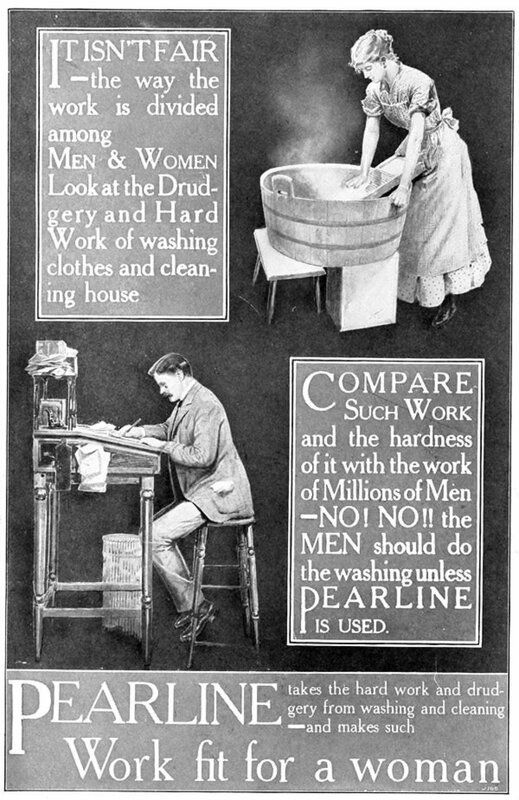 One is the May 1904 issue of Women's Home Journal. 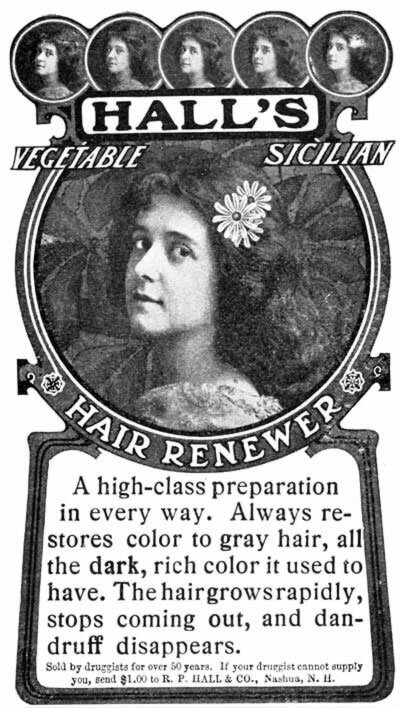 The other is the October 1909 issue of Collier's. While it's fun to read the articles — the Wright brothers fly a plane over Manhattan! Admiral Dewey at home! — it's even more fun to look at the ads. They provide a fascinating glimpse of the rise of U.S. consumerism. 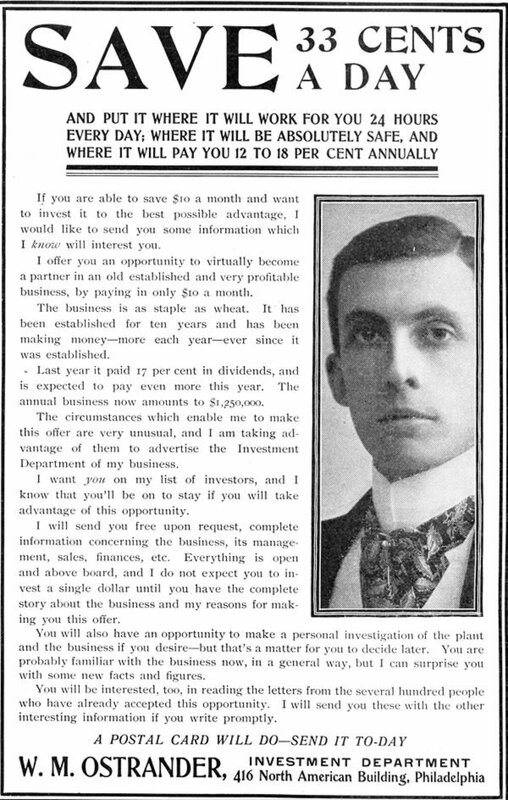 Of course, there were questionable financial schemes being advertised even back then. People have always been lured by the promise of quick riches. 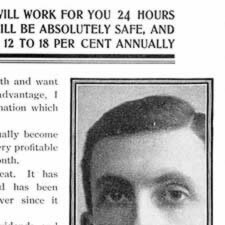 Some of these ads offer guarantees of “perfectly safe” returns of 12-18% a year, while others offer sure ways to make a couple hundred dollars in just a few days while working from home. 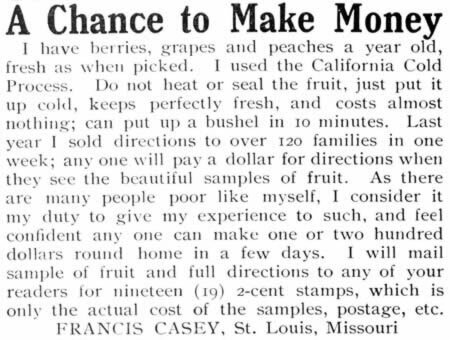 Some of the “make money” ads offered legitimate opportunities. 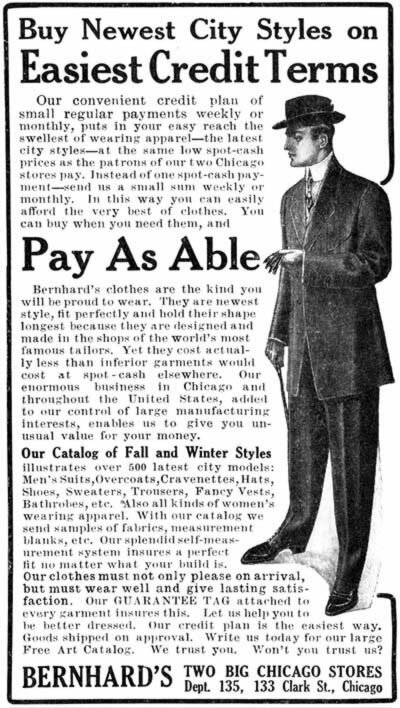 This one from the October 1909 issue of Collier's seems to give a peek into the origins of the now familiar bowling alley. It's also interesting to see the rise of credit. Though consumer credit has been used for centuries, the sort of credit we think of (using installment payments) is a more recent development. 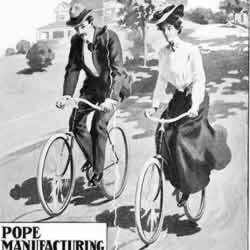 For a long time, it carried a social stigma, but that eased during the first part of the twentieth century. 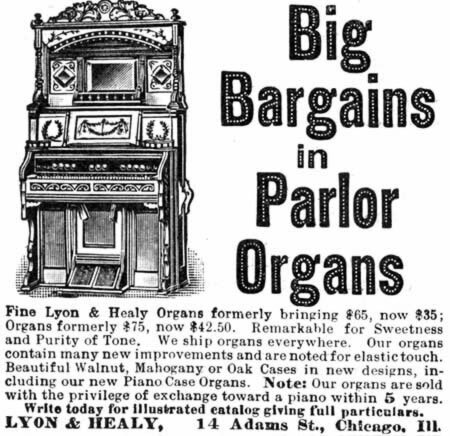 The 1904 Women's Home Journal contains one ad (for pianos) that offers installment purchases. 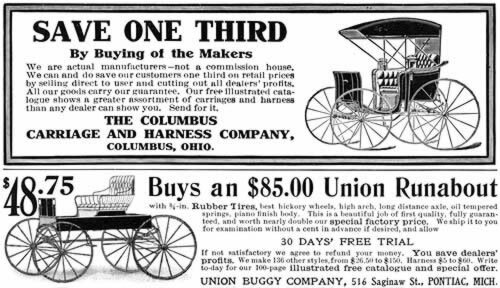 The 1909 Collier's promotes several companies with “easy terms”. I loved reading these old magazines, and intend to keep my eye out for similar bargains in the future. Actually, Kris and I are stopping at an antique store later this afternoon. I should set myself a $10 budget and then see if I can't find a couple of magazines to take home. 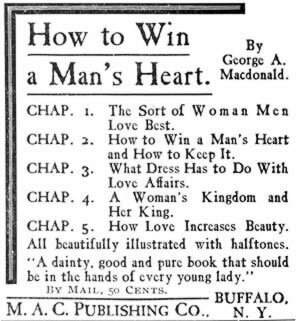 There are 33 reader responses to "Marvelous Magazine Ads from 1904". 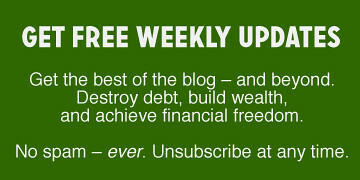 Are you aware of the irony of reading this post on the RSS feed? Your well-researched post finishes up with a glowing colour advert. sweep with electricity… that’s golden. Amen to the idea of limiting our personal exposure to advertising. Our attention is a valuable thing and we should spend it carefully, just like our money. I think of myself as being on a happy diet: a low-ad diet, which I’ve written about here. 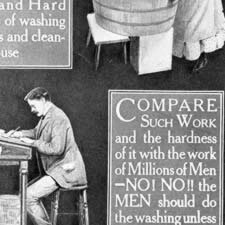 It’s amazing how many of the techniques for copywriting were refined early on and are still in use today. 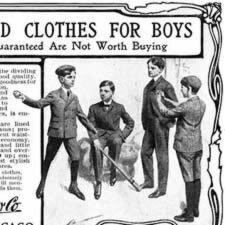 I think I agree that we should limit our exposure to advertisements, but I read a blog recently (curse my memory for not retaining the name, especially after your post yesterday), that described the author’s attempt to limit her sons’ exposure. They watched a scant 1-2 hours of TV/wk, but even then it was obvious that ads had gotten stuck in her sons’ brains. Instead she began to educate them on how to see behind the advertisement and what it’s really saying, and to test out the claims they make. She knew she was on to something when, after being asked by her kids what kind of paper towels they use, she walked in on them 20 minutes later reproducing the Bounty(?) claim of holding toy cars even while wet. You may have another reason for going out and finding more of these magazines. Often at book fairs and used book stores I see old ads that have been matted and wrapped in plastic to be sold as art, anywhere from $25 and up. 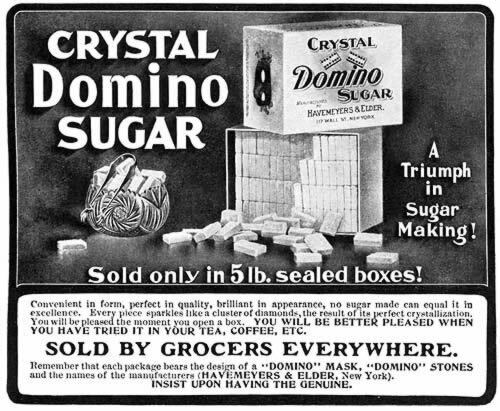 Some places do have the paper chemically neutralized, to keep it from yellowing further (nope, didn’t have acid-free paper back then!) Good luck finding more. I had a great time going through a stash of 1960s Ladies Home Journals that I found in the alley once! 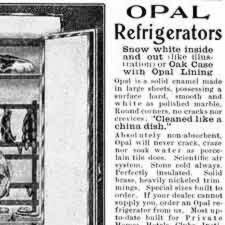 Jello was ten cents in 1904!? 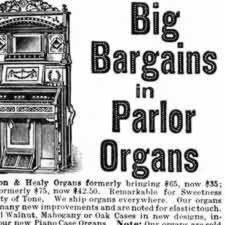 Does anyone have any idea how much that would be in today’s money? I just bought a bunch of boxes of off-brand gelatin for five cents (good clearance) the other day. Fascinating article J.D. I am a firm believer in reducing our exposure to advertising, despite (or in spite of) the fact that my husband works in this field. I consider myself fortunate enough to have experienced advertising in several different cultures and it is amazing just what messages adverts & commercials convey. Social and cultural norms are reinforced via this medium as well as product promotion. Most people have little idea of just how much they are being manipulated. Magazine ads can also be appreciated as works of art though. Think of all the wonderful retro posters from the past. Like others here, I am teaching my kids to see beyond an adverts surface message. I teach them all about the ploys the marketing industry uses to part them from their money. It’s also the main reason why I refuse to purchase more than the basic cable package!! 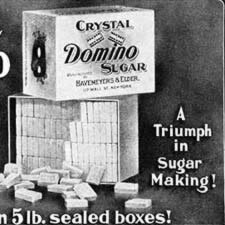 Here in the US, we are bombarded by temptation as soon as we step outside our homes. I try hard not to let too much of it get inside mine. This is a great example of inflation at work over the long term. 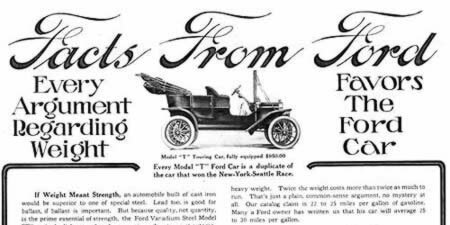 I love looking at the old ads. Their distinctive look encourages me read through their wordage. It’s always good to look at the history that got us to where we are today. You make a good point about credit. Back then they still extended money, but the rates were a lot higher. 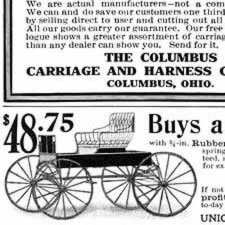 We complain about credit cards, but we are getting a bargain compared to 1904. 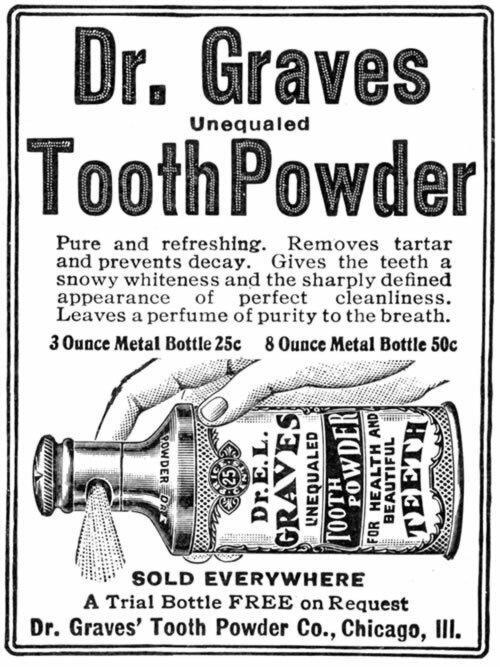 Dorothy L. Sayers is now mostly known for her Lord Peter Wimsey novels, but she also worked in advertising. Some of her notable campaigns included the Guinness “zoo” ads and Colman’s Mustard Club. Her classic Murder Must Advertise skewers advertising in general, but it’s also informative about how advertising works. On the “California Cold Process”: I too was fascinated by what it could possibly be and searched further in Google Books. 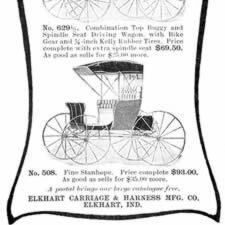 Eventually I found, in “The Railroad Trainmen’s Journal” (awesome! 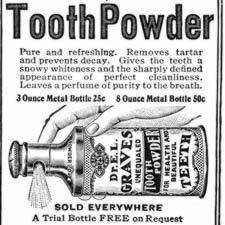 ): “The material used Is the compound extract of Salyx which any druggist, if he does not have it in stock, can easily obtain.” Further searching revealed that it’s salicylic acid, about which Wikipedia tells us “Although toxic in large quantities, salicylic acid is used as a food preservative”. 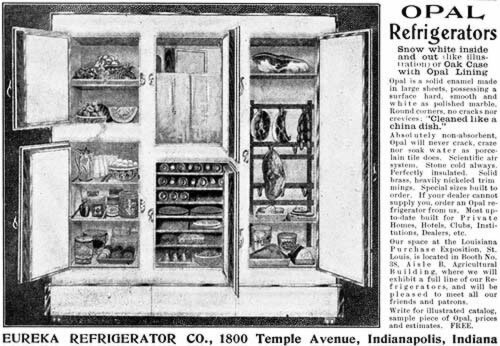 My 1918 Fannie Farmer cook book has about 30 pages of pure advertising at the end of the book, mostly for baking and kitchen products. Not sure why books are no longer used for such purposes, but I’m not sorry. Art imitates life… and life imitates ADVERTISEMENTS! 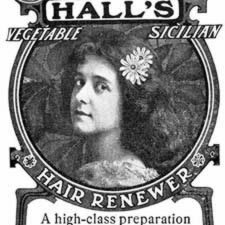 Heather, $0.10 in 1904 is equivalent to around $2.50 today in terms of inflation, or around $14.00 in terms of average wages. 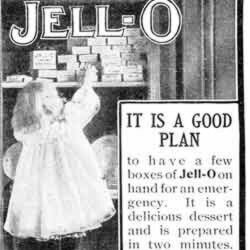 Jell-o was clearly a bit more expensive a century ago. 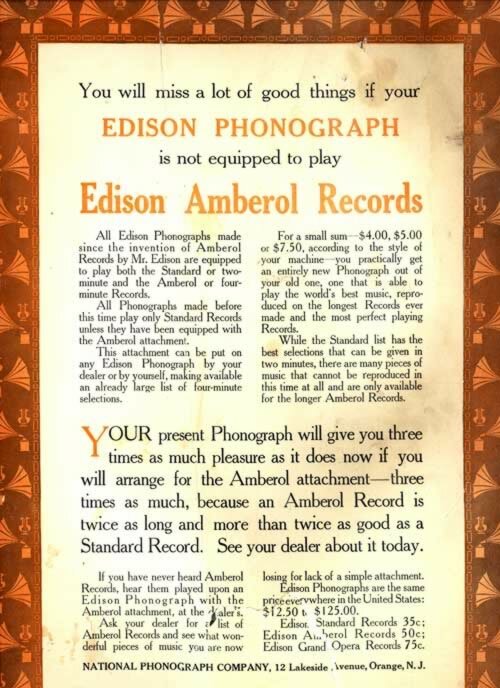 The vacuum advertisement is particularly amusing, as it’s focus on the economic advantages of 3 cents per week (now around $1/$4 for CPI/GDPperC) pales in comparison to the $70 it cost, which translates to $1700 for inflation or around $10000 in terms of average wages, which is slightly more expensive than most vacuum cleaners now, and illustrates why repair services and reliability were more important then. For lack of anything better, I tend to use http://www.measuringworth.com for such calculations. @ Heather: Betcha 10 cents wasn’t cheap. My father was born in 1909; he spoke of living on $10 a month as a young man, and he didn’t seem to consider that starvation wages. Advertising has become ubiquitous: you can’t get away from it. If you don’t watch TV or read magazines or newspapers or surf the Web, then some clown calls you on the phone to push an ad into your ear. Once out of idle curiosity I tried to count the number of advertising messages I was exposed to while driving down the street…within a few blocks I lost count. If you counted each business’s sign as well as billboards, it was hundreds! Do you think people get immune to it? On a conscious level, I don’t even see about 90% of the stuff. When I’m watching TV I zap the ads, and I restrict my radio listening to NPR specifically so I don’t have to be subjected to advertising. Maybe that’s my age. As younger people, do you find yourselves actually preferring the advertising to the content? When my son (now 30) was a teenager still at home, if the dratted parents would try to zap the ads, he would protest and turn the sound back on. He insisted the ads were better than the programming. And he may have been right…. By the way, thank you for scanning all these! I know it takes a lot of time, but I had one fun night looking at all of them. 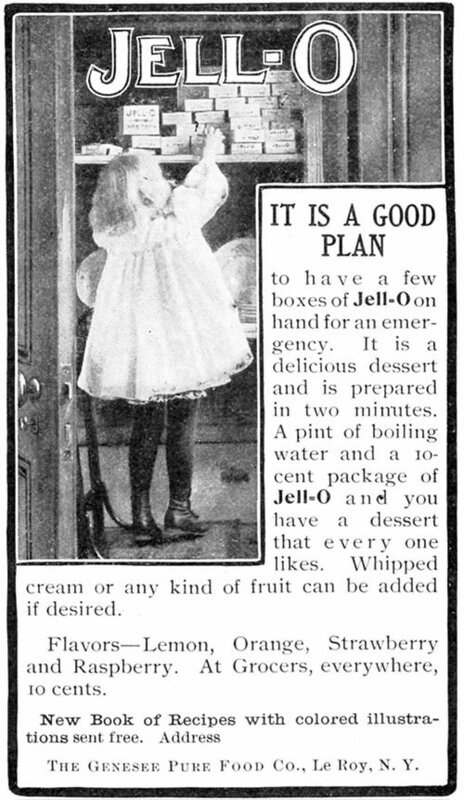 Jello, Its a good plan, Nice collection, I love old ads and old commercials. 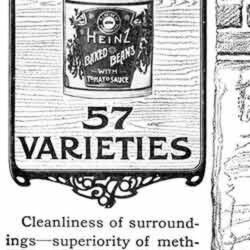 I’m always fascinated by the number of words in older magazine ads. Compare to today where there may be no words at all. 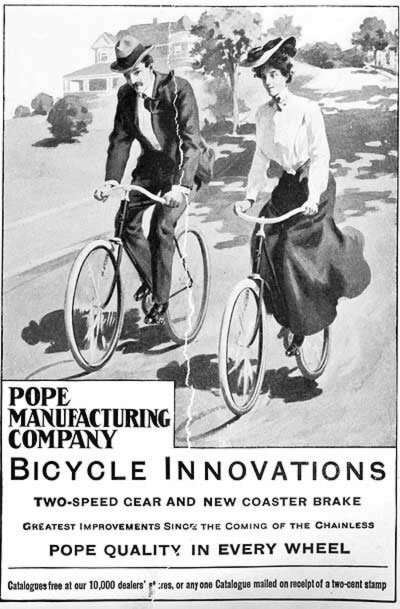 In my semiotics class in college, we spent a portion of the class on advertising and it was easy to see that ads without words speak volumes…you just can’t be sure how much was intentional and how much wasn’t. I especially like the get-rich-quick ads. You’re right, lots of things don’t really change much over the years. 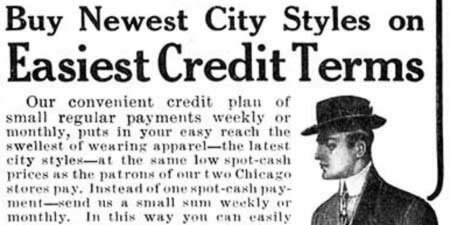 I also agree that credit was much more expensive 100 years ago and limited, though informal “store credit” was quite common. However, if it was a good or a bad thing. . . that’s all in the eye of the beholder, I suppose. 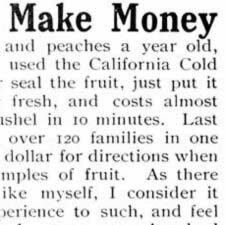 Very funny and interesting…Jell-o still does the trick with many kids. 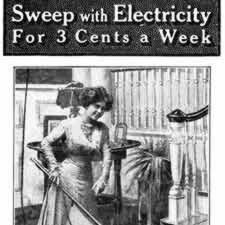 Cleaning with electricity ad is my favorite. Here’s how to save some money and clutter and still enjoy those old magazines! Visit your public library. Many larger library systems will have a central branch with archived material, much of it in paper. I work in one, and a common assignment for marketing students is comparing advertising over the decades. Copies of pages from old magazines and newspapers make great conversation pieces for birthday and anniversary parties too. 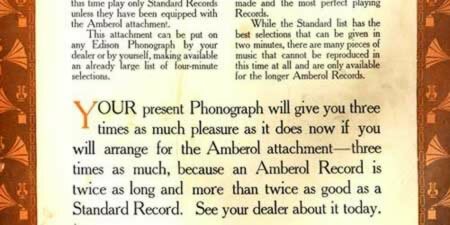 I think it’s interesting that older advertisements – perhaps, in fact, up to some time in the 1980s – contained a lot more text. Today’s full-page ads usually contain at most around 10 words, plus a bunch of copyright information in small print. An interesting read regarding the rise of consumerism, including consumer credit, is Vance Packard’s “The Wastemakers” from 1963. 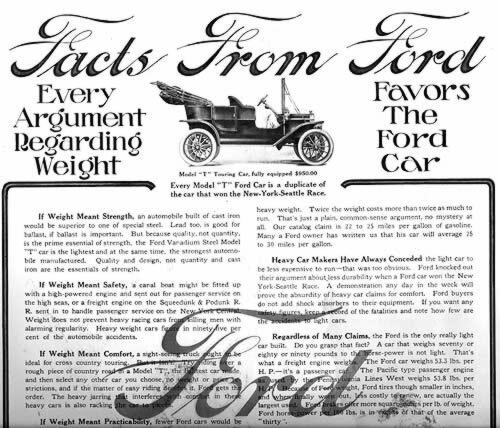 Paper made from cotton, as Western paper was in the old days, should be acid free, but magazines a century ago (as now) must have been printed on wood pulp paper. Am currently looking for an Amberol Attachment compatible with Win98. 1. 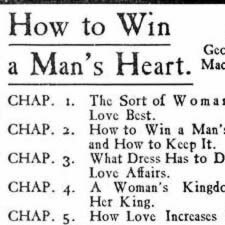 I just love these old magazines. I was lucky enough to find some myself a few years ago. I actually cut them up and use the images in my art work, if I can find a good number of them and be sure I’m not destroying something that’s one-of-a-kind. 2. I definitely limit my exposure to ads. We don’t have television at home–just the actual TVs with DVD players. We watch pre-recorded stuff. There’s not much of worth on TV–network or cable–anyway these days any more. When I’m listening to the radio, I switch to a CD or turn it off when commercials come on. Online, I just ignore ads. They are but so much color and blur to me. I love and collect the old pattern and sewing magazines, particularly. As far as susceptibility is concerned: I called all the nice people who were sending me catalogs, and cancelled – at least for 2009. I want to clear my credit card debt, not add to it! If I don’t see something, I’m much less likely to want it.